I stumbled upon this place quite by chance while en-route to Silver Lake from Soi Siam Country Club Road. The route took us through Huay Yai, while passing through a little village named Ban Chak Ngaew my wife proclaimed there is a Chinese Walking Street here which we must visit. Ban Chak Ngaew has a community of Chinese origin dating back more than 100 years, the “Walking Street” is the focal center of the village. 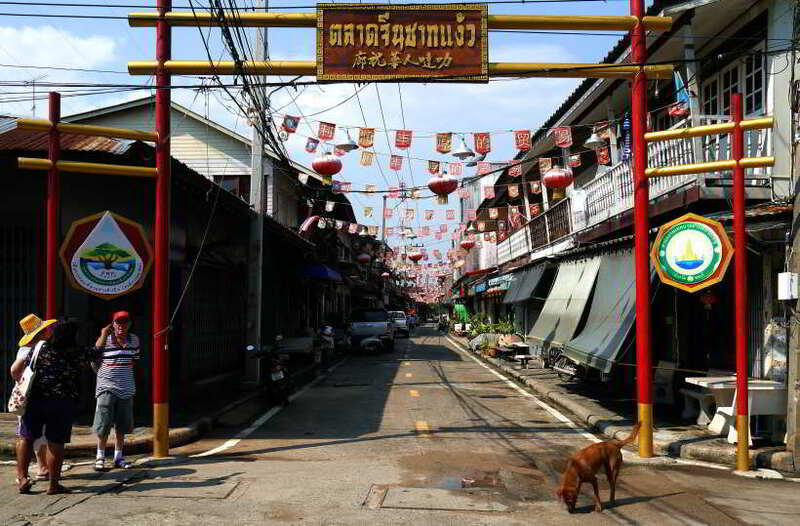 The village and it’s Walking Street have actually been quite heavily promoted by the Tourism Authority of Thailand. It was quiet when we visited, it was a midweek afternoon. The most obvious charm of the village was actually the people. And for the villagers, the highlight of their afternoon was the strangers from out of town. 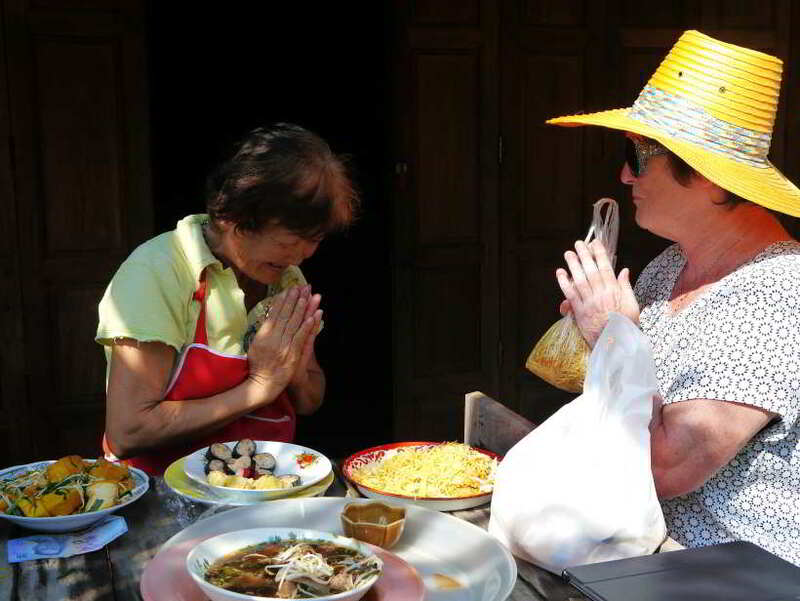 If I told you we got a warm welcome at Ban Chak Ngaew, that would be a huge understatement. As soon as we entered Walking Street we were greeted with joyful welcomes, inquiries about where we came from, we were even given food completely free of charge, and informed we must return on Saturday. 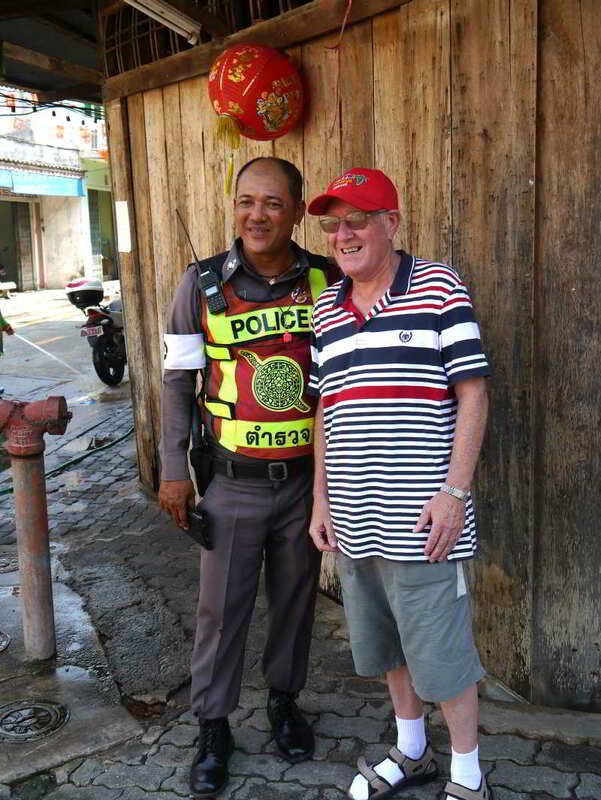 Ban Chak Ngaew is one of the friendliest places I have visited Thailand, for that reason alone I recommend you make a detour is you are passing that way. 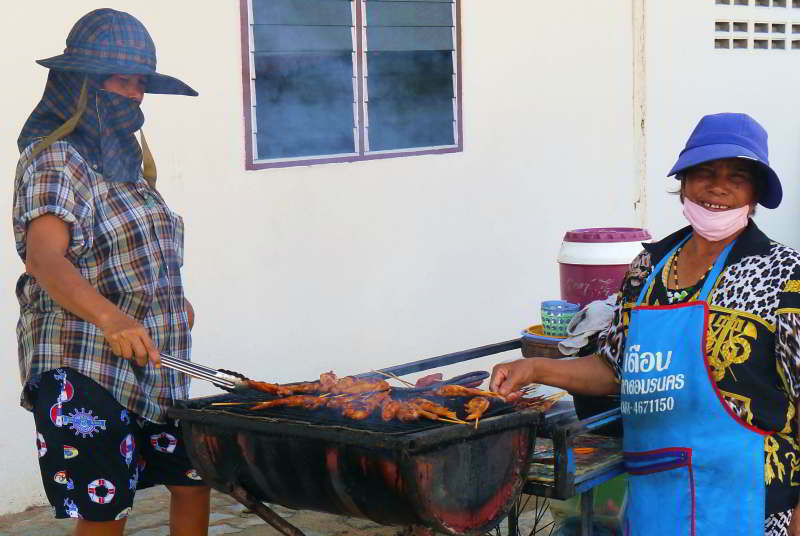 The best time to visit though is Saturdays between 10AM and 8PM when Walking Street hosts a weekly food market. Happy Food ! !, what else would it be. Ban Chak Ngaew. They give, they smile, they Wai. If you want to see the real “land of smiles” visit Ban Chak Ngaew. You have to smile in Ban Chak Ngaew, and that’s the law.